A Wall of C#@ts…starts a conversation. According to Elizabeth Pearce – who wrote the Gonzo for this piece – Around the year 2000, Greg Taylor, a Melbourne-based artist, was making some torsos out of clay. He stuffed up somehow and the torsos exploded in the kiln. As he sifted through the detritus, he pulled out one torso’s pubic area, the only part to survive intact. He held it in his hands, he says, and thought, ‘There’s a story here, there’s a conversation.’…. There IS a whole conversation around this exhibition at MONA in Tasmania. It certainly makes you stop while looking at seventy-seven vaginas on a wall all together. They look pretty amazing if you have had the opportunity to see it yourself. The artist’s reasoning for the artwork is quite wonderful, it was also interesting to note that he thought at first it wasn’t a story he ‘had the right to tell’. But I am glad he did, as it starts normalising women and women’s bodies as they should be. 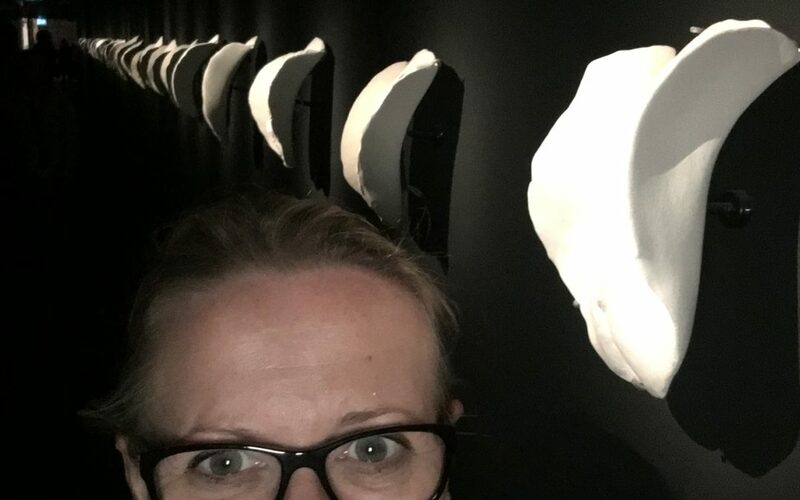 If we can have an art piece that showcases seventy-seven vaginas, than SURELY we can start having more conversations about how our menstrual cycles can be used to guide us to better decision making, better relationships, better results in our lives.